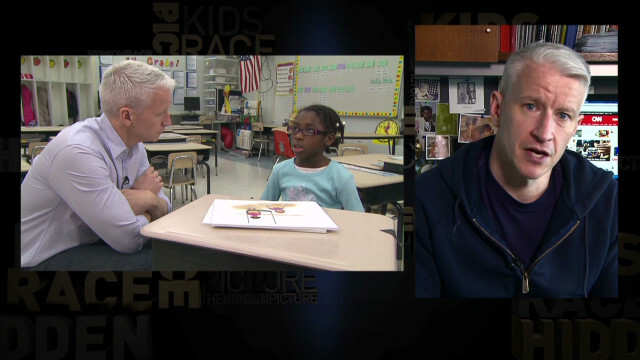 The series titled “AC360 Special Report: Kids on Race, The Hidden Picture”, will air the week of April 2nd at 8 and 10pm ET. The CNN commissioned pilot study builds on the original Doll Test’s historic research done in the 1940s that examined how African -American children interpret race, discrimination and stigma. Teaming up with child psychologist Dr. Melanie Killen, the Anderson Cooper 360° ground breaking report scientifically explored how kids view interracial contact in their daily lives. The children, ages six and thirteen, were shown images that were scientifically designed to be ambiguous to children. “What is happening in this picture” was the starting point for interviews conducted with the group of 145 African-American and Caucasian children in six schools across three states. The report explored how children’s interpretations of the images often changed when the races of the characters were switched. Online, videos from the series, commentary and other text pieces will be available on CNN.com and the AC 360 blog.